PEACEFUL PARADISE/INGROUND POOL! 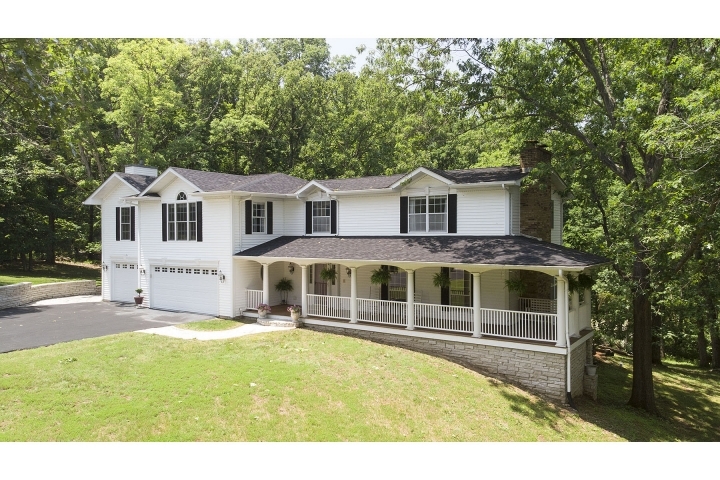 Step inside this fabulous 4bdrm/5Ba, 3-car garage, 2-story home that sits on 3.05+/-acres. Notice the oversized covered front porch. Step inside the foyer and see the wooden spindle staircase on your left and the great room with a fireplace on the right. Next is the dining room with ample windows. The eat in kitchen features stainless steel appliances. The screened-in covered deck overlooks the pool & beautifully landscaped back yard. Up next, a spacious laundry with cabinets, an office followed by the living room. Upstairs you'll be in awe with a master suite that has it all... a sitting area with fireplace, an extra room with balcony and a large bath with 2 separate vanities, a Jacuzzi / separate shower and plenty of closet space. The 2nd bedroom is also a master suite with full bath. In addition, 2 bedrooms & full bath. The walkout Lower Level is fully finished with a wet bar, rec/sitting area, fireplace, bath and storage. Outside is a large patio, a shed and a brand new roof. The only thing missing is YOU!